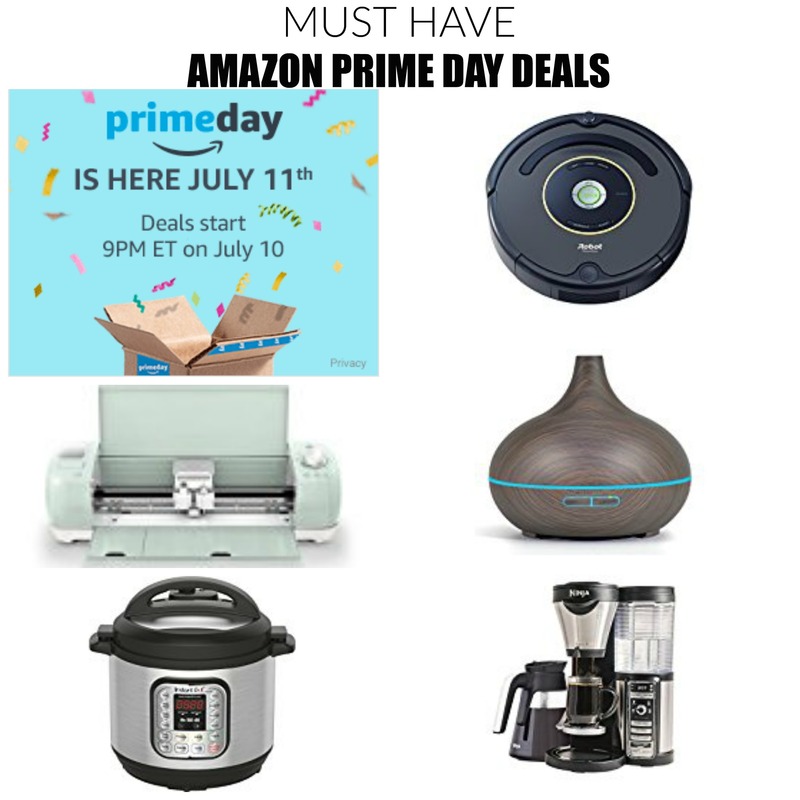 Its Amazon Prime Day which means some of the best deals all year on amazon! Here are some must have items Amazon Prime Day Deals you have to grab on Prime Day! Save $125 on this Roomba! Imagine coming home to a house thats already vacuumed! Just set it and forget it. Instapot is all the rage for quick dinners, get one now and save $40! Get a Tablet for only $29.99. This is perfect for the kids. I love this blender regular price $119 get it today for $69! My favorite crafting machine is on sale! This is a must grab. You guys know how I love essential oil diffusers! This item will change your life, I love this one because its beautiful and the changing colors are so calming. I absolutely love this shower head and its 50% off! You know how I love to keep my fridge and freezer organized, grab these bins quick! I love tea and this tea infuser so so darn cute! Everyone loves the Kreuig but honestly this Ninja coffee bar is soooo much better, you can make single serve or a large carafe, and make hot, iced and frozen coffee drinks! All without the need for expensive pods.